Sustainability is central to the core values of Tomorrow Energy as the company believes that trees are an incredibly important part of building a sustainable future. Tomorrow Energy aims to create positive impact in the world starting at home by giving customers more clean energy choices and doing good by being active stewards in local communities they serve. To further create sustainability, Tomorrow Energy offers a variety of products which offers planting trees on behalf of their customer over the term of that product. “We believe that it is all of us together that can create positive impact in the world - today and tomorrow,” Keene said. 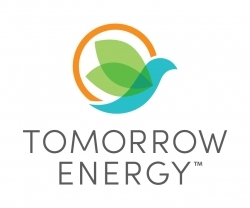 For more information on Tomorrow Energy, go to www.TomorrowEnergy.com. More about the Arbor Day Foundation. Founded in 1972, the Arbor Day Foundation has grown to become the largest nonprofit membership organization dedicated to planting trees, with more than 1 million members, supporters and valued partners. Since its founding, more than 300 million Arbor Day Foundation trees have been planted in neighborhoods, communities, cities and forests throughout the world. The vision of the Foundation is to help others understand and use trees as a solution to many of the global issues faced today, including air quality, water quality, climate change, deforestation, poverty and hunger. For more information, go to www.arborday.org.